A storybook with a difference: YOU. There are stories that you read. But this is a story that you help to make. 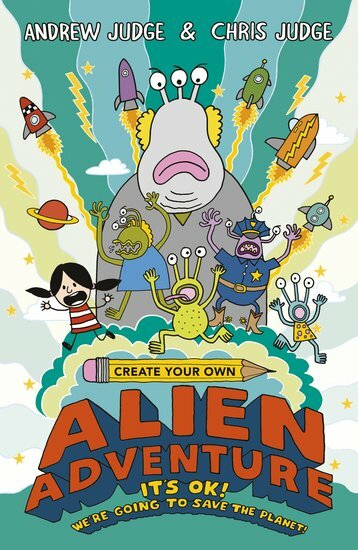 Read, doodle, fold, twist and tear to create your own alien adventure! When an alien crash-lands outside school, you race outside to find it. Follow the alien’s trail across town and back to its ship. Tear a small hole in the page to get inside – and learn to speak alien! Once you’ve helped B’ob fix the tear in his ship, you’ll visit his home planet. Navigate asteroid fields. Build a starship engine. Next – can you save your planet from an alien army?